We are delighted to report that Barnsdales acting on behalf of Bizspace have sold a major multi let industrial estate in Sheffield. 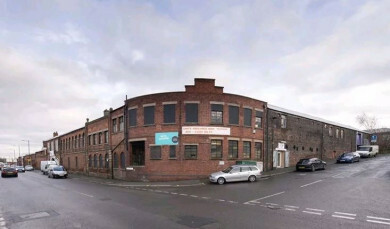 Bizpsace instructed Barnsdales to advise on the potential sale of Baltic Works in Sheffield back in March and we were subsequently instructed to sell the multi let industrial estate. The industrial estate has been acquired by an experienced property investment company and they have subsequently instructed Barnsdales to manage the property and to undertake all future lettings. Jason Barnsdale who acted for Bizspace commented " we have been advising Bizspace for several years now and we are delighted to have been instructed by them on this important investment sale, they are delighted with the price we achieved which was above their expectations". For further details please contact Rob Johnson (rob@barnsdales.co.uk) for property management enquiries or Craig Gooddy (craig@barnsdales.co.uk) or Ryan Dunphy (ryan.dunphy@barnsdales.co.uk) for any leasing enquiries.